Did you know that you can get your hands on a Calgary car title loan in as little as 15 minutes? Did you know that you don’t have to be concerned about your credit score when you apply for a title loan? Did you know that squids have a donut-shaped brain, and their esophagus runs through the middle of it? Granted, only a couple of those facts are relevant, but they’re all completely true! 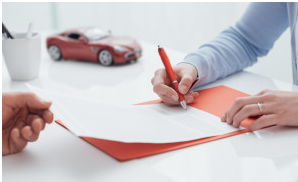 Snap Car Cash is home to the easiest loan application process, so it’s no wonder that people in search of the best title loans Calgary has to offer come to us for help. For 13 years, Snap Car Cash has proudly provided the people of Canada with financial services that are simple and accessible. The best title loans in Calgary can be found in our offices, with application processes that are quick and easy, with terms that are designed to make the experience easy for you. As a specialists in collateral-based loans, we provide the unique opportunity to get the financial help you need, without having to give up the use of your car in the meantime. Most vehicle title loans require recipients to surrender their vehicle for the duration of the loan. However, since we base our loans off of the wholesale value of your car, and subsequently require no credit check, we only need to hold onto your title, and you can drive off with your car and the cash you need! It just makes sense, doesn’t it? Unlike a squid with an esophagus that runs through its own brain, our loans are simple, understandable, and safe. The best title loans Calgary can give you can be found here, at our conveniently located loan offices. When you call us at 1-888-886-7627, you can expect fast and attentive customer service, and we’ll be able to schedule a time to meet in person as soon as possible! All that you’ll need to bring is your vehicle, your license, and your clean title in your name. As soon as we’re able to do a quick inspection of your car, we’ll get you the highest value loan possible, and you’ll be on your way. For the best Calgary loans, give us a call today, or use our easy online application form, and we’ll happily work alongside you to get you back on the road to financial stability!